Creature of the night in full flight. 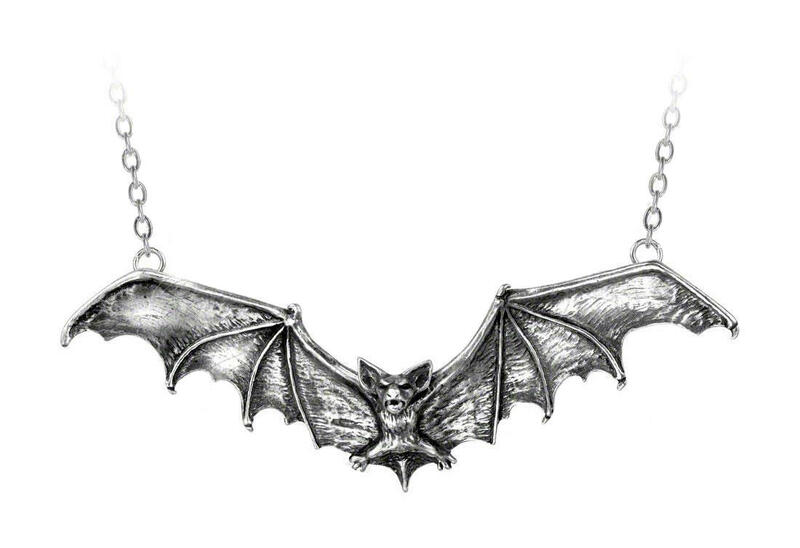 Pewter bat necklace. 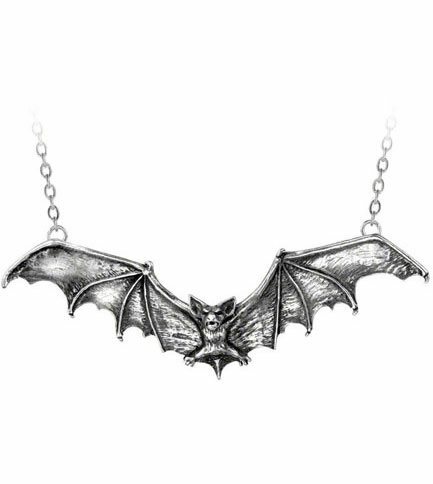 Measures approximately 5.04 inches wide, 1.77 inches high and 0.98 inches deep with 25 inch split chain.